This conference aims to promote discussion on three core topics connected to lifelong learning: intergenerational learning, for promoting the transmission of knowledge and skills between different generations in relation to nature conservation and local heritage; but also for promoting new technologies –ICT and mobile game design- as well as environmental volunteering for enhancing both education and active citizenship. The conference will also present the winners of the “Volunteer Conservationists’ Games” European competition (www.involeneuropeancompetition.wordpress.com) and will host the awarding ceremony. The conference programme is on the way to be published ! This conference has been triggered by, and organised in the framework of, the INVOLEN project (www.involen.eu). INVOLEN aims to promote intergenerational learning through game-based learning, targeting nature conservation volunteers in 5 European countries (Italy, Greece, France, Hungary and Slovenia). INVOLEN brings together adolescents and senior citizens, encouraging their participation in voluntary activities for nature conservation, and challenging them to work together to design their own Location Based Game to be played in a chosen protected area, near their place of residence. 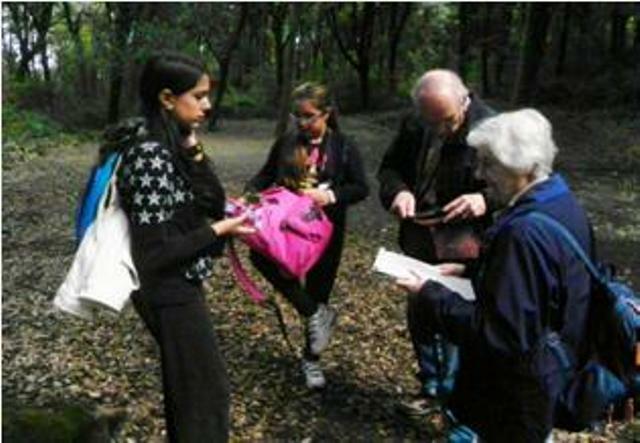 The INVOLEN project produced a learning methodology concentrating on the three core topics of intergenerational learning, nature conservation and game-based learning technologies. This methodology was pilot-tested successfully providing excellent results in all five countries that implemented the project: five intergenerational teams developed location-based games prototypes freely accessible online, through handheld devices, while they learnt from each other and raised environmental awareness within their communities. LLL and nature conservation, academics and students.